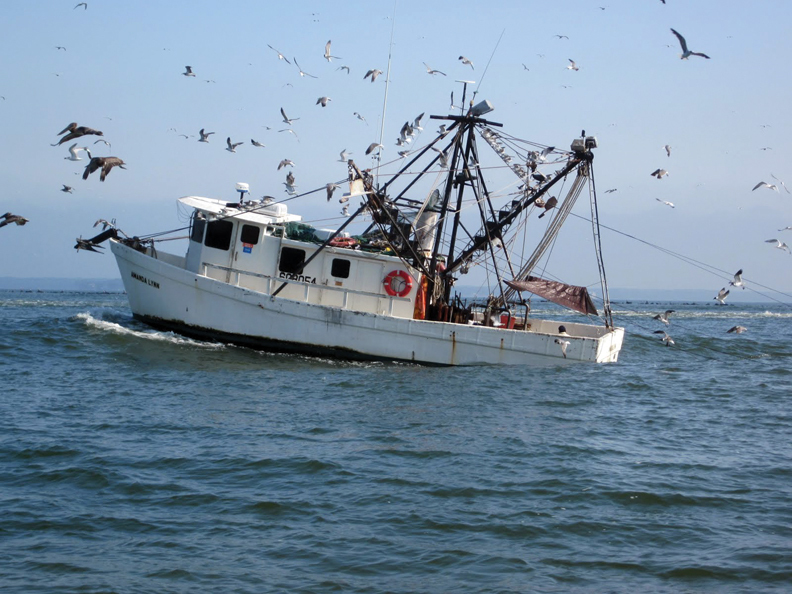 Following up on our radio show, "Episode 345: Fisheries as a Strategic Maritime Resource"
Fisheries and aquaculture remain important sources of food, nutrition, income and livelihoods for hundreds of millions of people around the world. World per capita fish supply reached a new record high of 20 kg in 2014, thanks to vigorous growth in aquaculture, which now provides half of all fish for human consumption, and to a slight improvement in the state of certain fish stocks due to improved fisheries management. Moreover, fish continues to be one of the most-traded food commodities worldwide with more than half of fish exports by value originating in developing countries. Recent reports by high-level experts, international organizations, industry and civil society representatives all highlight the tremendous potential of the oceans and inland waters now, and even more so in the future, to contribute significantly to food security and adequate nutrition for a global population expected to reach 9.7 billion by 2050. Yes, it's 204 pages of pdf, but well worth looking through. The state of the world’s marine fish stocks has not improved overall, despite notable progress in some areas. 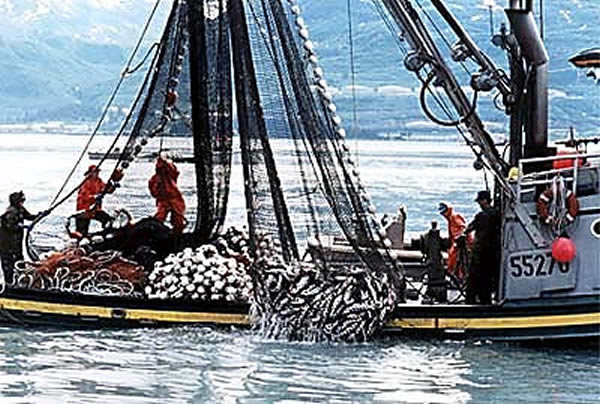 Based on FAO’s analysis of assessed commercial fish stocks, the share of fish stocks within biologically sustainable levels decreased from 90 percent in 1974 to 68.6 percent in 2013. Thus, 31.4 percent of fish stocks were estimated as fished at a biologically unsustainable level and therefore overfished. . .
". 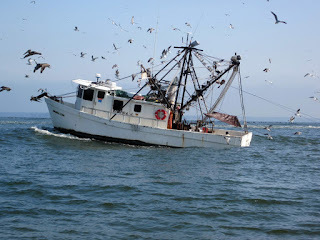 . . NOAA Fisheries data shows that a significant portion of this imported seafood is caught by American fishermen, exported overseas for processing, and then imported back to the U.S."
In 2013, estimated freshwater plus marine U.S. aquaculture production was 653 million pounds with a value of $1.38 billion, an increase of 59 million pounds (10%) in volume and 145 million (12%) in value from 2012. Atlantic salmon was the leading species for marine finfish aquaculture, with 41.6 million pounds produced essentially unchanged from 2012. Atlantic Salmon produced was valued at $105 million (up 36%). Oysters have the highest volume for marine shellfish production. 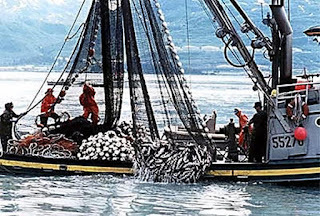 (35 million pounds, up 1%) The United Nations Food and Agriculture Organization (FAO) estimates that nearly half of the world’s consumption of seafood comes from aquaculture. Globally, Asia is the leading continent for aquaculture production volume with 89 percent of the global total of 70.2 million metric tons. The top five producing countries are in Asia: China, with 62 percent of the global total; India, 6 percent; Indonesia, 5 percent; Viet Nam, 5 percent; and Bangladesh 3 percent. The United States ranks fourteenth in production. Over 15 U.S. states are producing trout via aquaculture with the leader in that field being Idaho which produces about 75% if U.S. "farmed" trout according to the United States Trout Farming Association. The U.S. needs to push for more aqualculture, both for the food production aspect and also for the jobs that such production can produce. It's also a national security issue in terms of safe-guarding our food supply.